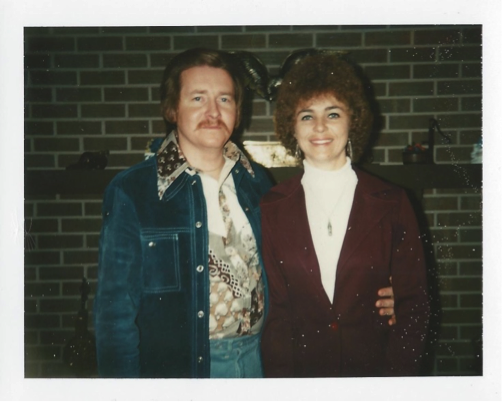 L&R Pallet Service, Inc. was established in 1974 when Larry and Doris Ruder stepped out in a leap of faith, borrowed $500 on their credit card to buy a small 1-ton truck, and started repairing used pallets for resale. Larry worked as a delivery driver for a bottling plant, while Doris managed their two kids, the house, and finances before making the daily delivery to their single customer. She would then make a second stop to a local grocery distributor to purchase 100 broken pallets for Larry to repair that evening. Doris would rush home in time to be their waiting for their two boys to arrive from school. Since that time L&R Pallet has continuously provided customers with pallet solutions and has grown to become the largest Colorado based pallet recycler & manufacturer in the Rocky Mountain Region. Their long days, hard work and combined trust in God to provide for their daily needs established a foundation that would one day serve for more than just making pallets. Their son, James Ruder, grew up in the family business and is now a second-generation owner of L&R Pallet. Though James grew up in a Christian home and “accepted Jesus into his heart” at a young age, he never really understood the difference between what it meant to be a Christian man who ran a business that he personally owned and a Christian steward of a Kingdom Company that belonged to God. That all began to change in the fall of 2012 when his wife Carine, and their three children, convinced him to go on a mission trip to Peru. James defines this trip as his “God moment”. While on his first of many missions trips to Peru, God softened his heart by using the single touch on the arm from a 7 year old orphan girl, sending electricity through James’ body and literally dropping him to his knees to stare into her sad dark eyes. Upon returning to the States James and his family were led to plunge deeper into the Peruvian ministry lead by his new found friend and soon became the President of The Lost Children of Peru. James and Carine Ruder will be happy to tell anyone what missions in the marketplace looks like for L&R Pallet. They found new purpose in leading their company as a vehicle to impact the lives of those within their circle of influence. The Ruders are very passionate about challenging other business owners to make the 40 hour work week “count for the Kingdom”! As part of the Ruder's journey, God clearly decided to use L&R Pallet as a place of refuge for those needing more than just a job. In October of 2013, James and his team hired seven Burmese refugees. Today they employee over eighty resettled refugees and immigrants! L&R Pallet has become a flagship in Colorado’s refugee community for successfully integrating people from all types of challenging backgrounds, demographics and who have faced barriers to employment into the workforce. God opened their hearts to their team members and all the “stuff” going on in peoples lives that they could use some help with. At L&R Pallet, all resources belong to God. The link between L&R Pallet and Under One Roof relates to this one mission. Under One Roof seeks to create a network and funding stream for local and international ministries to faithfully serve God and love others and make a difference as a Kingdom business to see lives transformed. Together, James and Carine, seek ways to invest in the lives of others and live out the purpose of L&R Pallet. They believe that the only thing/person worth glorifying in this life is God. L&R Pallet is committed to using their resources of time, talent, treasure and influence to make a difference and this is the purpose of Under One Roof. In 2017, James and Carine established Under One Roof foundation. The foundation allows L&R Pallet to be intentional in giving and in its using resources. Of course, money is generally the first thing that comes to mind, but beyond this, there is a vast array of other resources. God gives good gifts to bless His children, but we also believe that the gifts are to be used to bless others. It is also a mutually beneficial way for our volunteers and donors to invest in our efforts and allows us to make the best use of our donations and the reach of each contribution. We must take care of the things we have as we actively seek opportunities to share with others. Under One Roof brings together the mission of L&R Pallet and the resources we are entrusted through some of our customers relationships directly to our ministry partners and other 501(c)3 organizations. Under One Roof is a collection of individuals, ministries and like-minded organizations who have united around a belief that we can spend our days in the marketplace with passion and purpose, having a significant and lasting impact around the world.Under One Roof brings all of this together - literally bringing resource and all participants under the same roof, in the same family, to work toward a common goal: to see lives changed and communities flourish.